I was already a freshman at Cal State Northridge before I realized that my schools had failed me. It was apparent, very quickly, that the prior 12 years of my education had not been on par with that of my classmates. Other students had come to their higher learning with the academic and social skills necessary to navigate the world of academia. It didn’t take long before I began wondering if I should even be there. In part, this thought stemmed from both having what felt like an inferior education but also rarely having had the experience of being taught by someone who looked like me. This is what called me to teach. Unfortunately, this story is all too common for students in Los Angeles and around the country. A majority of my students fall under the federal poverty line and most of them share the same education experiences I had. As a student, I stuck it out, and it wasn’t easy. Earning my degree and eventually becoming a teacher were not only meaningful personal achievements for me, but they have provided a unique opportunity to show the students of my community that there is a path for them. I am fortunate enough to work at a school that believes in that path too. Walnut Park School of Social Justice employs an equitable approach to educating the whole child. For example, rather than handling behavioral issues in a strictly punitive manner, we address the root causes of discipline issues. Our students learn to take responsibility for their actions, to repair the harm that they have done to the school, the community, and to themselves. It’s important that they realize that their choices matter. What they do matters, because they matter. After reflecting on my own experiences a student and as an educator, it is clear to me that improving school climate is essential to providing students with an excellent education and a strong sense of self-worth. As a former substitute teacher in some of the neighborhoods in LA that serve our most vulnerable students, I saw up close what a lack of accountability and oversight can do to a learning community. Students view school as an obstacle to overcome rather than an opportunity to seize. I have been lucky, in my current role, to experience firsthand some of the benefits of restorative justice, such as student accountability. And while this shift has not always been easy to implement, it has helped plant a seed of hope for our students. It has, I believe, helped students begin to view their education with more hope. I do everything I can to build that hope in my own classroom. I’ve also sought out opportunities to support my students outside of the classroom. I’ve started coaching baseball and football, which has allowed me to get to know students in a different light. Through Educators for Excellence, I’ve begun working with other colleagues across the city to advocate for policies that have the promise of changing my students’ lives. I’ve had the opportunity to be a part of a team aimed at reviewing district policy and arguing for school climate and student equity improvements across LAUSD. If we want transformational change for our students, we need to advocate for them however we can, whether that’s teaching them in the classroom, coaching them on the field, or fighting to disrupt injustice at the district and state level. 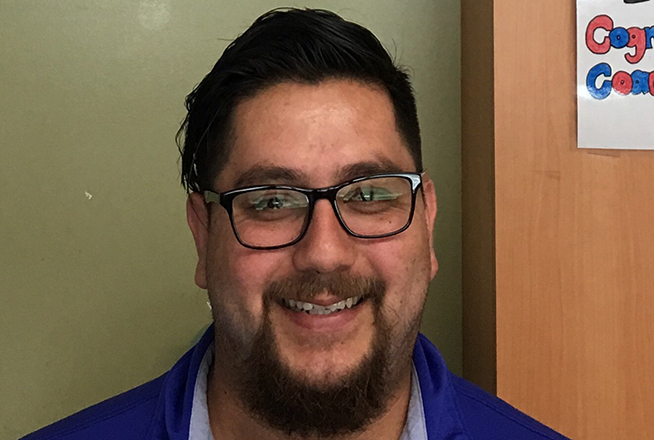 Ramon Altamirano is a member of E4E-Los Angeles and a first-year special education teacher at Walnut Park Middle School of Social Justice.